What kind of villa do you prefer for your holiday in Sicily? One of our main goals is to help you in choosing the perfect villa for your holidays in Sicily. If you are still uncertain, you can easily search for the type of villa you want by category. Choose for you and your family an exclusive luxury villa, a comfortable seaside villa or a villa with private pool. Enjoy moments of pure relaxation and wellness in one of our comfortable villas, which are designed to guarantee an unforgettable stay on the largest island in the Mediterranean Sea. 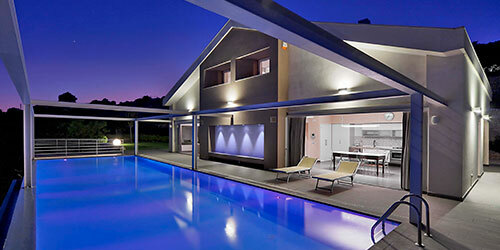 Our luxury villas with swimming pool guarantee maximum comfort for your holiday. They are spacious, refined and elegant. You can rent both smart modern villas and perfectly restored historic buildings. The luxury villas have panoramic views in locations close to the most gorgeous tourist destinations on the island. From only €171 per night. These wonderful villas are located right on the seafront or a few meters from the most beautiful beaches of Sicily. The villas are in the most amazing seaside resorts of the island such as Syracuse, Scicli, Donnalucata and Ragusa. Perfect for relaxing by the pool or on the sea-facing terrace, taking in the breathtaking Sicilian sunsets. From only €86 per night. Looking for a villa with private pool? Choose between rustic or modern style! 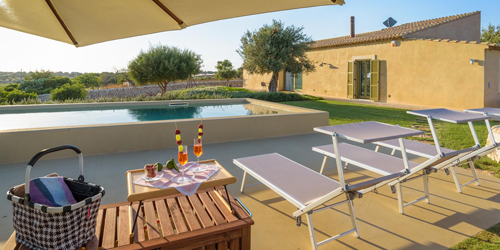 These villas with pool and solarium offer all the comforts you need on your relaxing holiday in Sicily. Total relaxation with a pool all to yourselves. From only €120 per night. 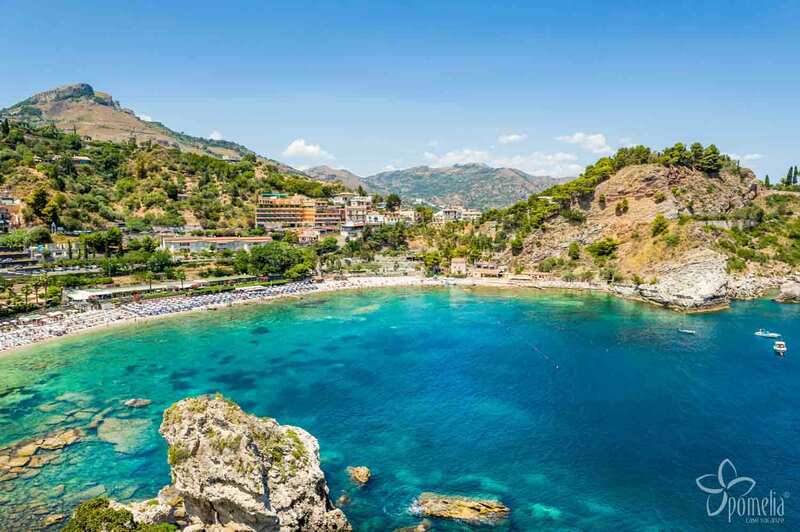 Planning a holiday in Sicily makes you already enjoy the fun and relaxation you will meet. After spending stressful days, enjoy your well-deserved rest in a comfortable location where you will forget the boring daily routine and live a dreamy holiday in Sicily. Are you looking for this magical atmosphere to share with your family or your friends for your next holidays? Do not miss the opportunity to spend a holiday in a charming villa in Sicily by the sea, on the beach, in the countryside, with swimming pool or, for the most demanding, in a beautiful luxury villa where you can find the maximum comfort. Enjoy your holiday in spacious ambiences with large gardens, verandas and terraces with wonderful panoramic views, to make the most of the beautiful summer days, cool off with a dip in the pool or relax in a Jacuzzi, in total privacy and without leaving home. If you decided to rent a villa for your next holiday in Sicily, but you are still uncertain about the perfect location, read our tips to choose the accommodation that best meets your needs. 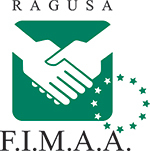 In Sicily, there is a mix of different locations, from the sea to the countryside, each one having all the unique characteristics of this island. 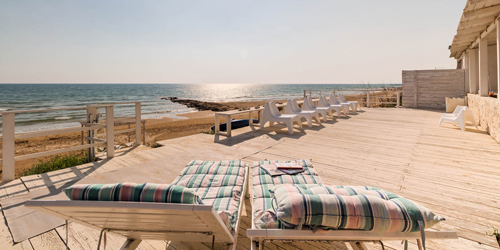 Our beach villas are located in the most beautiful seaside hamlets, such as Marina di Ragusa, Donnalucata and Marzamemi in the south east, or Castellammare del Golfo and in the north of the island. These are very different places, but all of them share a great naturalistic and panoramic charm. You can rest or fall asleep at night hearing the gentle sound of the waves and explore beaches of rare beauty. However, if your plan is to stay in a typical Sicilian villa to live close to nature and not far from the sea, you can choose Villa Scifazzo. Do you want to enjoy a total privacy? Whether you choose to stay at the seaside or in the countryside, have a look at our offer of villas with pool, with private entrance and reserved outdoor spaces. You will find different solutions to meet all your needs: from villas with modern-style furnishings, to typical country villas with characteristic dry-stone walls. Finally, we offer a choice of luxury villas where the beauty and the unicity of the location blend with the maximum comfort, good taste and elegance of the furnishings.